Successfully Added Starry Night Sky Projector - Night Light with Star Constellations to your Shopping Cart. 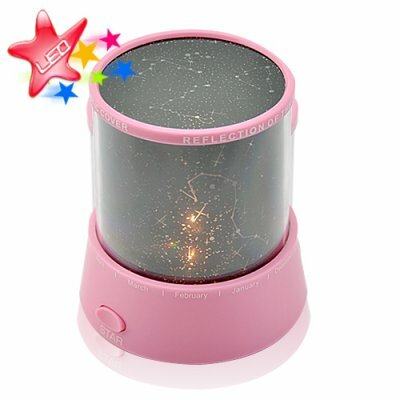 Desktop LED night light with colorful star constellations. Perfect for children and anyone who would enjoy having a colorful star projecting nightlight on their night stand or table. All three night light modes are guaranteed to keep you and your children entertained and safe from bumping into furniture during the middle of the night. Wondering what to get your children this Christmas? Well, we all know one Christmas present these days don't just cut it anymore. This night sky projector can be an excellent stocking stuffer or addition under the Christmas tree. The Starry Night Sky Projector is in stock now and available to you at an amazing factory direct wholesale price, straight form the leaders in consumer wholesale electronics, Chinavasion.